This group from Amsterdam evolved from Penny Wise. When it started out in 1969, the line-up was: Donald van Os (v, g, ex-Penny Wise), Martin van Os (dr, ex-Penny Wise), Johan Slager (g, ex-Little Johnny & Flaming Stars, 1961, Vampires and Gallery High, to High Tide Formation), Peter van Asten (v), Robert Verwey (b, to Brainbox). Line-up in 1970: Donald and Martin, Egon Verhoeven (b, ex-California License), Michel van Dijk (ex-Ekseption, went to Brainbox and stayed there from 1971 until 1974). In 1974, the line-up changed to: Donald, Martin, Michel and Jaques Zwart (b, ex-Think Tank). In that year, Amsterdam fell apart. Peter van Asten became a famous producer and composer. He released some solo records as Peter Bewley. Think Tank was formed by Jacques Zwart. He had been the lead vocalist of Het and played bass in Penny Wise and Bled. 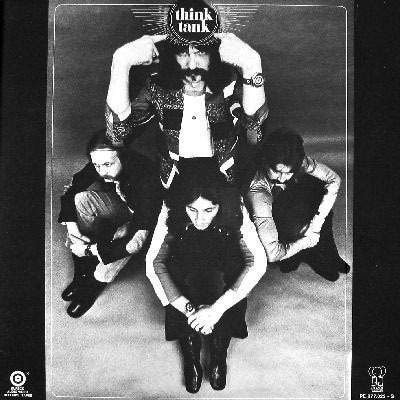 He assembled some of the best musicians available for Think Tank: Aad van der Kreeft (g), who'd just scored a hit with Blue Planet ("I'm Going Man I'm Going"), Hans Jansen (from the JayJays) and ex-Bled drummer Rob de Graaf. They recorded an album for Pink Elephant featuring quite complex American-influenced music (Todd Rundgren, early Steely Dan). When the album and the accompanying single didn't sell, Zwart joined Amsterdam as producer/singer/bass player in 1973 and recorded an LP that wasn't released until 1975, when the band was already defunct. Zwart then built a career producing artists like Ben Cramer and Doris D. & The Pins. Jacques Zwart died in 2003 of a heart attack at the age of 56. Amsterdam group Penny Wise was around between 1967 and 1969 and formed the base of Amsterdam. Among their members were Martin van Os (dr), his brother Donald (v, g) and Jacques Zwart (v, g, b, ex-Het and Pocomania, via Bled and Think Tank also to Amsterdam).